Resourceful Beatles fans have been beat-ing the drum for several days sharing info about upcoming year-end releases from the Fab Four. Videos, presumably from Apple Records, would appear on YouTube and elsewhere, only to vanish within hours. By Oct. 31, one project was identified as the long-awaited release of the annual Christmas messages that the Beatles sent to their fan club members on flexi-discs for many years. On Nov. 1… a title: The Beatles Christmas Records Box, which appeared on Amazon’s France-based website for EUR71.88 under the code name Tbc (The Beatles Christmas?). And on Nov. 1, Amazon’s U.K. site listed a second release, a vinyl edition of Sgt. Pepper’s Lonely Hearts Club Band which, the detectives assured their fellow fans, was a picture disc of the album. Where there’s smoke, there’s fire. Sure enough, several titles showed up on Amazon on Nov. 2 for a Dec. 15 release. Shortly after, the formal announcement arrive from Apple Corps Ltd., Capitol Records and Universal Music Enterprises. 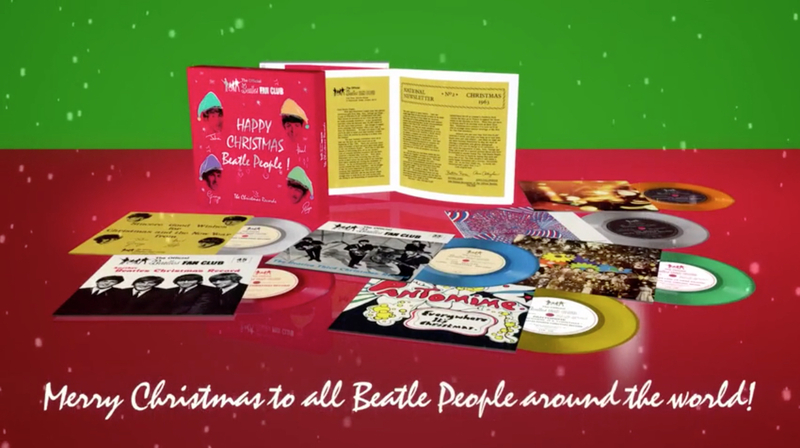 The Beatles Christmas Records Box is a limited-edition collection of 7″ singles, pressed on colored vinyl, of the Fab Four’s annual holiday messages that were sent to their fan club members from 1963-1969. 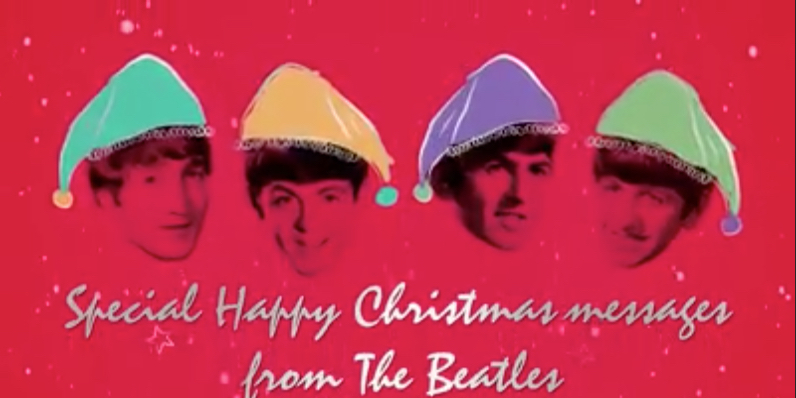 From the announcement: “The Beatles’ annual holiday tradition of recording jolly Christmas messages for fan club members was an important part of the band’s relationship with their most ardent supporters, affectionately referred to by them as ‘Beatle People’. Spanning 1963 to 1969, The Beatles’ holiday recordings were originally pressed on flexi-discs and mailed to fan club members each December. 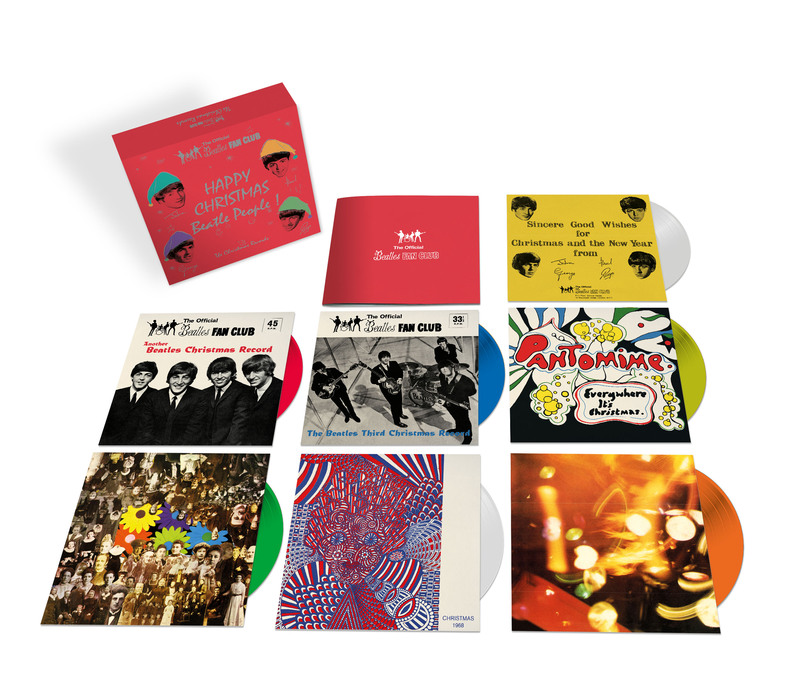 Pre-order The Beatles Christmas Records Box in the U.K. here and the U.S. here. Also coming Dec. 15 is the Sgt. 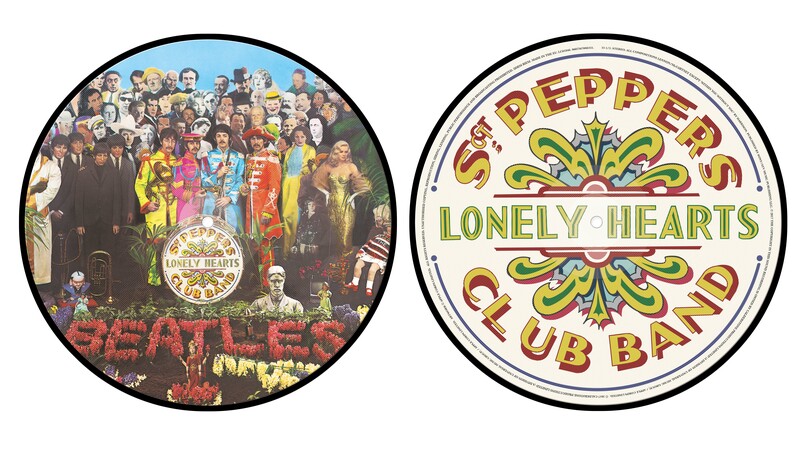 Pepper’s Lonely Hearts Club Band’s 2017 stereo mix as a 1-LP, 180g vinyl edition and as a limited, collectible picture disc vinyl LP. 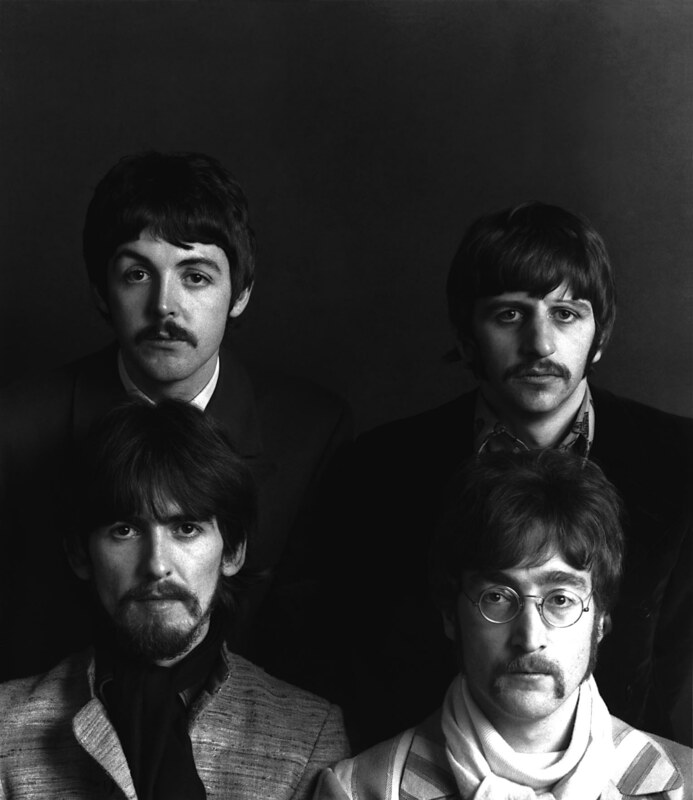 Produced by Giles Martin for this year’s 50th Anniversary Edition releases, the album’s new stereo mix was sourced directly from the original four-track session tapes and guided by the original, Beatles-preferred mono mix produced by Giles’ father, George Martin. Pre-order the picture disc: for the U.K. here and the U.S. here. Pre-order the 180g vinyl: for the U.K. here and the U.S. here. Shortly after the labels’ April 5 announcement of the Sgt. Pepper’s 50th Anniversary editions, fan pre-orders went wild. And for weeks following their May 26 release, all four versions sold phenomenally, with the Super Deluxe Edition (at a super deluxe $149.98 list price) holding the top spot at Amazon.